The National Historic Covered Bridge Preservation Program awarded $500,000 for the stabilization and restoration of the Cabin Creek bridge in 2008,5 and approximately half of the funding was used to stabilize the bridge in the spring of 2009 with a steel reinforcement system that had been used for the Johnson Creek Covered Bridge in Robertson County.1 4 The remaining money was to be used for restoration, which has been estimated to cost a total of $1 million. The Kentucky Transportation Cabinet, the Department of Parks and the Heritage Council have worked to secure funding for complete restoration, and in September 2010, approximately $1 million was allocated from the Transportation Enhancement Funds. Maynard, Misty. “‘Hope springs eternal’ for Cabin Creek Covered Bridge.” Ledger Independent [Maysville] 24 Jan. 2011: n. pag. Web. 8 July 2011. Article. 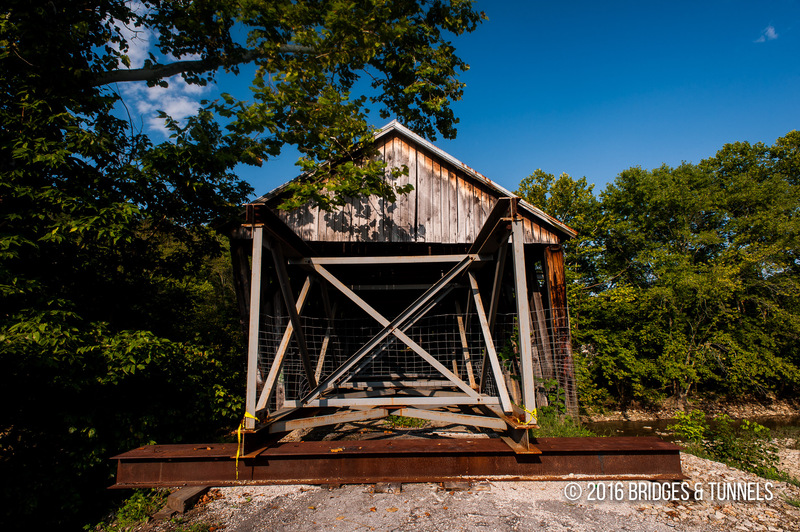 “Cabin Creek Bridge .” Kentucky Atlas and Gazetter. University of Kentucky, n.d. Web. 8 July 2011. Article. 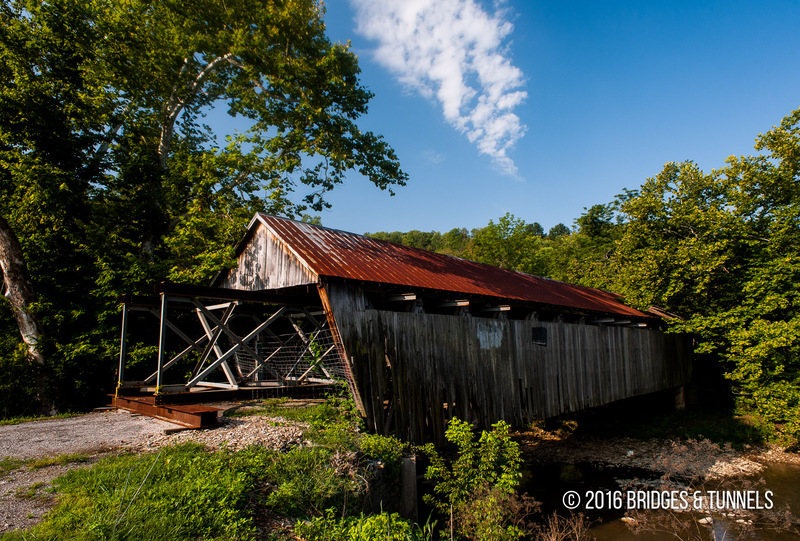 “Cabin Creek Bridge.” Bridge Hunter. Web. 8 July 2011.Article. Charles, Melinda. “‘Cabin Creek bridge restoration to resume.”Ledger Independent [Maysville] 4 June 2010: n. pag. Web. 8 July 2011. Article. Arthur, Michael. “‘Cabin Creek bridge restoration on hiatus.”Ledger Independent [Maysville] 22 Apr. 2009: n. pag. Web. 8 July 2011. Article. Arthur, Michael. “‘Cabin Creek bridge getting support from Johnson Creek project.” Ledger Independent [Maysville] 18 Nov. 2008: n. pag. Web. 8 July 2011. Article.